Fake sommelier lapel pins replicating the official Japan Sommelier Association accreditation have been found sold online through auction sites in Japan despite being banned, the association has warned. The Japan Sommelier Association has alerted restaurants to look out for unqualified individuals wearing fake lapel pins after it uncovered a man who had sold 38 fake pins for a total of ¥1.3 million (US$11,800) on an undisclosed auction site, reported Kyodo News Agency. The association said over 100 fake lapel pins had been offered online over the past few years. The lapel pin of a bunch of grapes is given to individuals by the association after they have passed qualification tests including written and tasting exams. The pins are prohibited being sold or borrowed, the association said. “The qualification is not something you can buy and (the lapel pin) is not an item for a collection,” said Shinya Tasaki, the president of the association, who became the first Japanese winner of the World’s Best Sommelier Competition in 1995. “It’s disrespectful to those who were certified after their hard work,” he said. 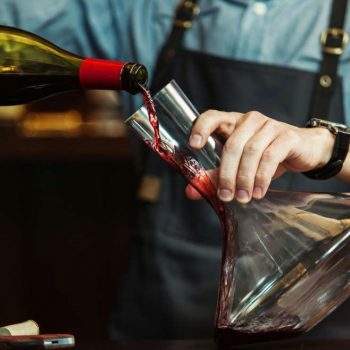 Becoming a certified sommelier under the Japan Sommelier Association requires at least three years of work experience before taking a series of written and tasting exams. The current number of sommeliers in Japan is said to be around 30,000, and 13,000 are women.